Projects benefiting the Yawanawá of the Amazon. There are over 1,200 Yawanawá, with 9 villages along the Gregório River. The Yawanawá and their allies are dedicated to developing a model of sustainability that allows them to protect their lands and engage with the outside world on their own terms, without compromising their cultural and spiritual identity. The tribe has been working tirelessly to increase territory, reinvigorate Yawanawá culture, and establish economically and socially empowering relationships with the outside world. In the 1990s the Yawanawá were able to reestablish sovereignty after generations of interference by rubber tappers and missionaries, at which point Matsini Yawanawá became Tatá's first student. Tatá Yawanawá was one of the most revered pajes in the Amazon. People came from all over the world to work and be healed by Tatá. The name Yawanawá translates as ‘The People of the Wild Boar’. We are currently producing a documentary in partnership with the Yawanawá about Tatá, the elder shaman of tribe, who went to meet his ancestors just before Christmas last year. You can support the film at our GoFundMe Campaign. 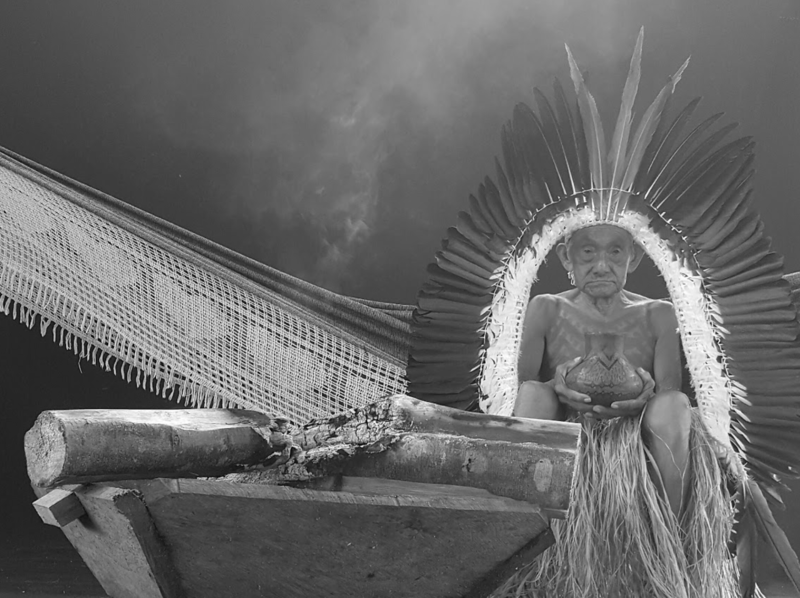 At 103 years old, Tatá was one of the oldest shamans in the Amazon and was responsible for safeguarding the tribe’s spiritual legacy through the difficult years of colonization and interference by the rubber tappers and missionaries. Reaching near extinction in the mid-1980s, the Yawanawá decided to expel the missions and it was Tatá who helped to lead a revival of their cultural and spiritual practices. Matsini was one of the first to enter this training of legends, ceremonies, music, healing ways, and sacred plant knowledge that had been kept secret in the hearts and minds of a few elders during the mission period. Our documentary follows Tatá’s final days – a historic and challenging moment for the tribe as they face losing their beloved elder and greatest living library of spiritual knowledge and power. Surrounded by the ongoing vigil of his family and students, we witness Tatá continuing to share his teachings from his deathbed – hoping to ensure the transfer of traditional knowledge to the next generation. This story is emblematic of a story happening around the world – the story of cultures losing their elders while struggling to recover and revive their ancient languages and traditions before they are lost forever. The film aims to wake up modern audiences to the inherent and vital need to preserve, protect and support the continuation of indigenous peoples and knowledge for the sake of all life on earth. We are also working directly with Matsini, the Spiritual Guardian of the tribe, to help him realize a lifelong dream of having a center for people to visit, so that people from abroad can experience some of the healing work at the source. This is a vast, multi-year project that will require quarter million dollars to execute. We are working with many people to help realize this dream. We are also looking to bring solar into the jungle, so that they do not have to run the noisy, toxic generators for electricity. We are working directly with the tribe, educators, and environmentalist groups to make sure all this is done sustainably and with integrity.